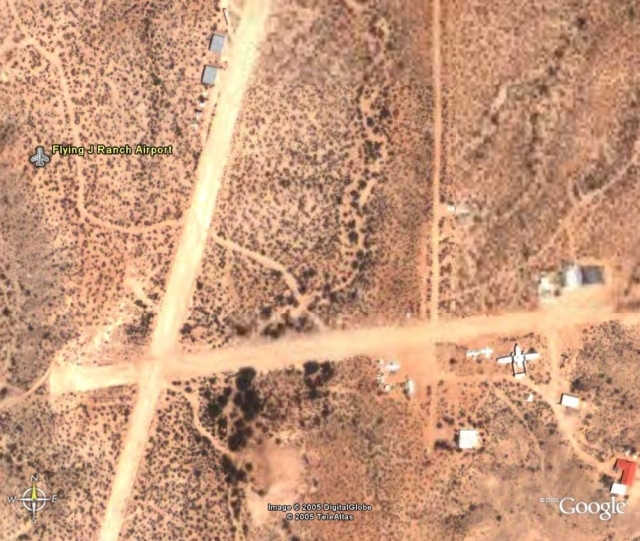 Jürgen Scherbarth wrote me in Aug.2005: "just came across the fantastic Google Earth pages, when I found this mystery C-119 (should probably be one) parked at a small airstrip called "Flying J Ranch Airport" (E37). But not a bit of information can be found on the internet!" Terry Nash, of "Cactus Wings" wrote me (15Aug05: This confirms a rumor that I had noted long ago. The rumor stated that C-119 53-8074 was derelict at the Flying J Ranch, near Safford, Arizona. The aerial photograph is of the Flying J Ranch (coded E37). Aad van der Voet added the following that same date: "The Flying J Ranch Airport is in Arizona, 7 miles or so west from Safford. This aircraft is the former 53-8074 (c/n KF-177), which was sold to a Mr. H. Jenkins from Safford, AZ on 13 March 1990. It has been preserved at the Flying J Ranch since at least the mid 1990's. I have it last seen at Air Pro / Western International scrapyards at Davis-Monthan in April 1990, but it may have remained there a little longer. In any case, it was noted at the Flying J Ranch in 1997." "C-119L 53-8074 sits in the middle nowhere. 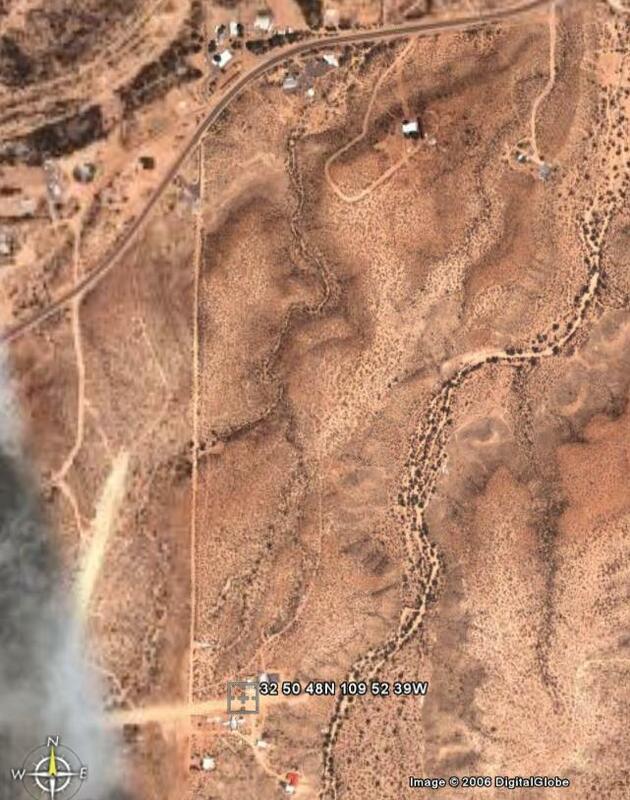 Google Earth lat/long coordinates are 32 50 48N 109 52 39W (screendump). 53-8074 arrived on 27Mar75 at MASDC's storage center (called AMARC these days) near Tucson,AZ. For fifteen years it stood here, gathering desert dust... Mr Jenkins of Safford,AZ saved it from the scrapman, disassembled it and transported it to to his airstrip at his ranch. But his airstrip is not near Safford, but only 10km away from Pima,AZ. It is situated on top of a hill and cannot be seen from the public road, but the Jenkins' residence is located on this road and the driveway is marked with a 'winged J'."